By downloading resources you are agreeing to use them according to our terms of service. 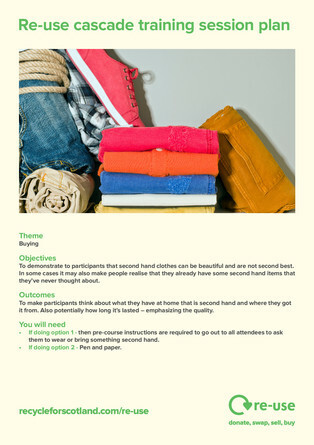 1 of 14 guides for running re-use workshops. This one is around emphasizing the quality of 2nd hand items and getting people to realise what they already have that is 2nd hand.